I may not be in the holiday mood yet, but makeup brands sure are. New holiday releases and collections are launching every week and it was only a matter of time before I gave into one or two! Over the past year or so I've gotten away from limited-edition palettes and shades. For a blogger, there's not much point in buying something I will only be able to talk about for the short while that it is available. 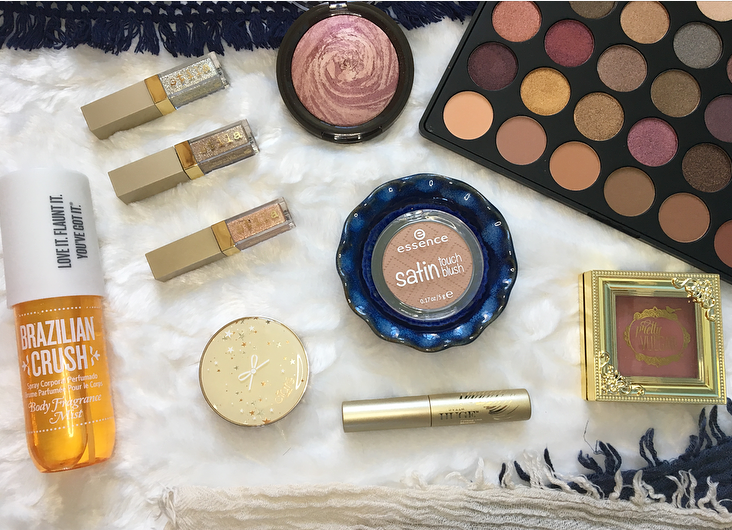 However, some of the sets that are coming out this year are not only great values for money but a good way to try out multiple makeup brands and fan-favorite products at once! I haven't bought any of those sets (yet) but they sure are tempting. If the Bite beauty lip sets had been released when I placed my order I definitely would've gotten one of those! As it is, I got a lot of products, especially blushes and I'm excited to try them out. Every single time I go to Ulta I end up swatching these gorgeous glitter eyeshadows and staring at them with longing. I knew I wouldn't use them often, so I never purchased one until now. This trio includes deluxe sizes of three of the most wearable glitter shades and they are all so beautiful! I can't wait to try out some looks with these. The three shades included are Diamond Dust, Kitten Karma, and Smoky Storm. Pretty Vulgar launched at Sephora a few months ago with beautiful packaging and a lot of fanfare. I put off ordering from them until the reviews came in, but the powder products were generally ruled as good products so I decided to get a new blush! Hush Hush is a dark rosy shade that I don't have much of in my collection, surprisingly. It's a pigmented formula but it's not very powdery. I'm a little concerned about how it will blend, but I haven't tried it yet so I can't say whether it is good or bad! Another blush (you will see a trend here...I have a problem) I've had my eye on these for ages. 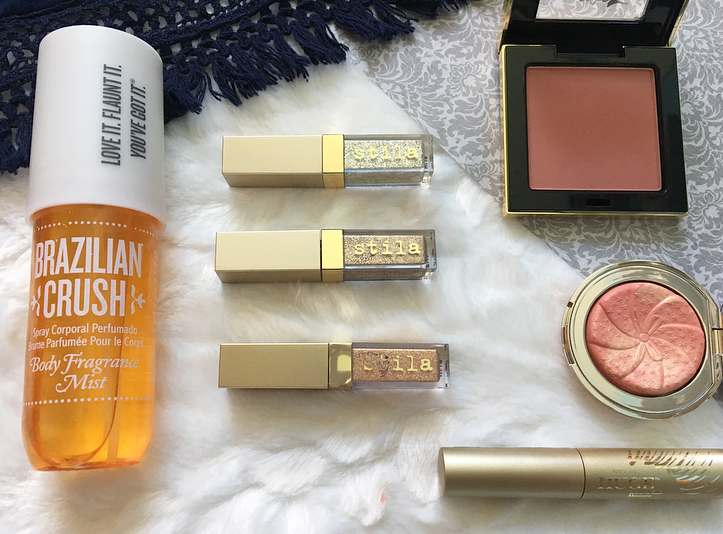 I love the Ciate bronzers and so I had high expectations for the blushes, too. The shade I wanted was sold out, so I went for this peachy shade instead. It looks a little light for me but it is super pretty and shimmery! Everyone and their mother has heard about the Brazilian Bum Bum cream that is supposed to be a miracle worker. I have way too many body lotions, but I decided I could use a new perfume (again, I have a problem) so I ordered the body spray. This leaked a little bit in the box so when it arrived all I could smell was alcohol and it made me a bit nauseous. I tend to get associations with scents really easily, so I'm hoping I'm not going to be reminded of feeling sick every time I smell this! This perfume is said to have notes of pistachio and salted caramel, but I didn't get that when I tried it out. I will keep testing it and report back! This was on offer when I was ordering from Sephora--they always have codes that you can use to get bonus samples. 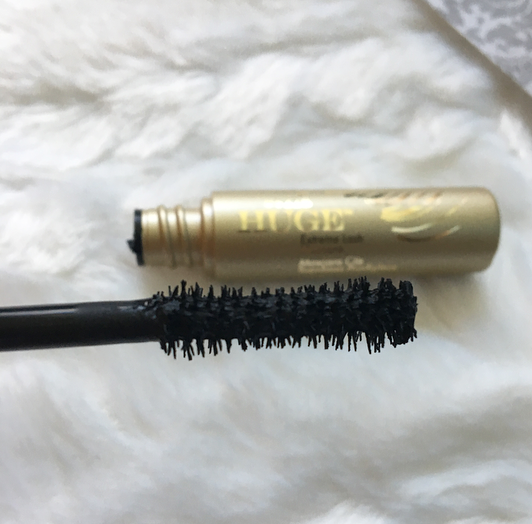 I've used this mascara before and I remember loving it, so I'm glad to have another sample! I've been meaning to pick one of these up for ages, but every time I checked them out they looked really...brown. Some people love brown-toned blushes, like Benefit's Dallas or Becca's Amaretto, but they've never appealed to me. I think it was just a trick of the light because swatched this is a beautiful dusty pink! The formula feels really nice as well. I promise, this is the last blush I'm buying for quite a while! I saw this brand at Walmart and was immediately taken by this gorgeous marbled blush. It reminded me of my favorite Hourglass Ambient Lighting Blush in Mood Exposure. This has a bit more of a metallic sheen to it, but the color is very similar and the formula is just as smooth. I'm really impressed with it and if you're in Walmart definitely check it out! Doesn't this palette just scream fall? I absolutely love the purple shades in here and can't wait to start playing with them! Morphe shimmer shades are really beautiful, but I've never tried their matte ones. Of all the products I got, I'm definitely the most excited about the Glitter and Glow eyeshadows. 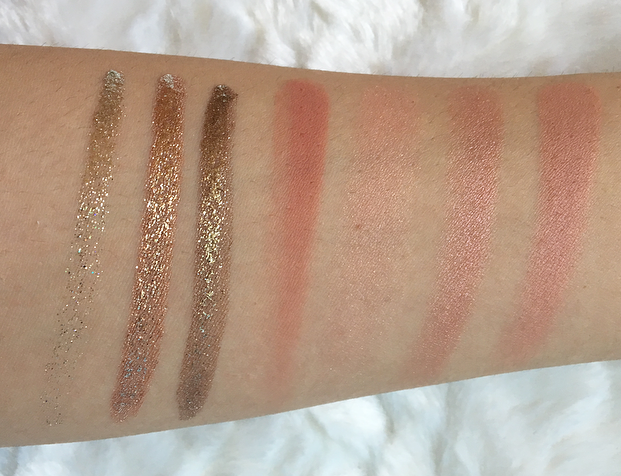 The swatches are so beautiful. Have you bought any new products recently? Any holiday sets you are eyeing? 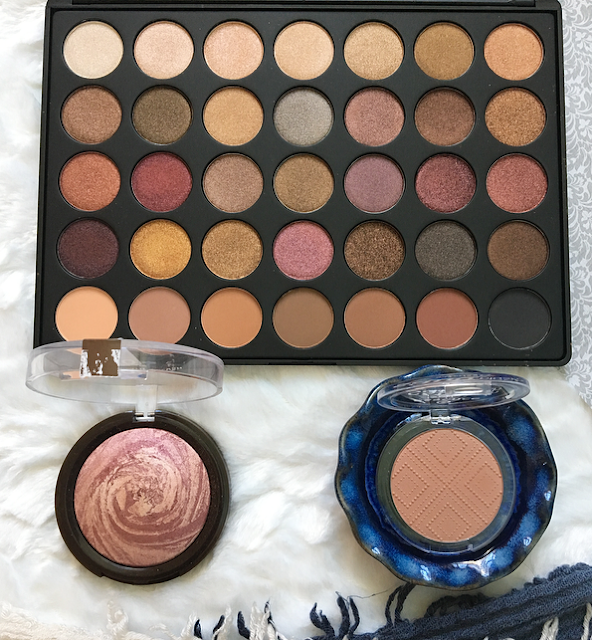 19 comments on "A Little Sephora Haul "
I can definitely relate to the blush problem, but they're just so enticing to buy!. The Morphe palette looks stunning. I've wanted to get one of their palettes for a while but hate to shell out $$ for shipping. Might have to bite the bullet for this one though. I've heard that they recently came to Ulta is that's better shipping costs for you! :) I wish I knew that before I ordered. The Morphe palette is stunning, the shades are so perfect for fall and I love the purple ones, I need a palette like this one asap. The FOund cosmetics blush looks nice, I haven't heard of this brand before. I love the 35F palette. It's so pretty. I have two of the Stila Glitters and I need to try them soon. The Stila mascara looks interesting. I loove that Stila mascara! It's so volumizing! That Morphe palette is stunning! It looks like the ideal Autumn palette. I'm so desperate to try Stila eyeshadows! The colours and shimmery-ness just looks amazing! The Stila Trio looks beautiful! This is a brilliant haul! I have that Ciate blush in my list to purchase too, it's so cute and I just need to try one! Love this haul! I have never tried Morphe eyeshadows but this one looks stunning. I've always wanted to try those Stila liquid eyeshadows too! The Glitter and Glow shadows are perfect for the holidays! They are so pigmented!